We are manufacturers & exporters of High-Quality PSA Oxygen Gas generators from India. 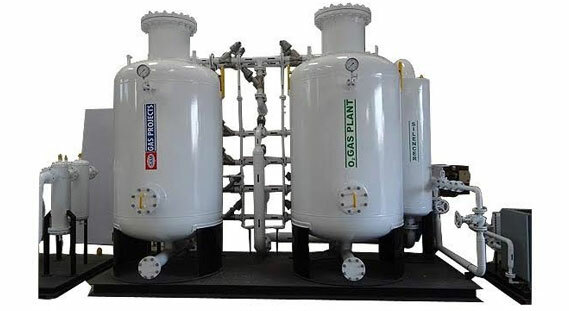 Our Oxygen plants are based on PSA Technology, By this technology, We produce oxygen gas generators that are low on maintenance, and highly economical while they produce the desired results in a systematic manner. These PSA Oxygen gas generators absorb nitrogen with the help of two absorption vessels filled with zeolite molecular sieves responsible for nitrogen absorption. We are manufacturing & exporting PSA Oxygen Gas generators. Our PSA Oxygen Gas Generators are based on PSA (Pressure Swing Adsorption) technology and have a very low maintenance costs. These PSA Oxygen generators are highly reliable for continuous and steady operation with constant Oxygen purity.